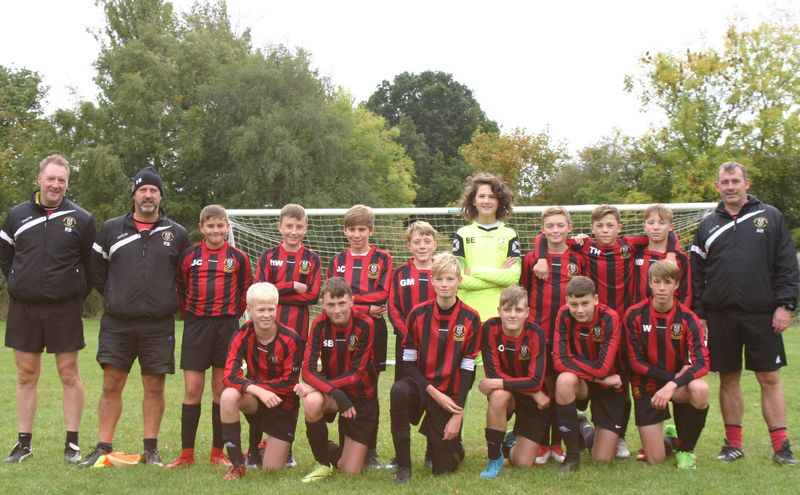 Lepton Highlanders JFC U14 Blues 2 vs. 3 Gomersal & Cleckheaton U14 White - 24 February 2019 - Under 14 White - Gomersal & Cleckheaton F.C. No subs and poorly players! The team battled well with no subs and a couple of players under the weather. We started very slowly but after going 1 nil down after 3 minutes we foght back with an assit from Elliot Atrkinson who played in Tim Hill to score. Luke Oldcorn took a knock so moved out wide and Josh Carney came into the middle where he was more effective and played some great one touches from throwings. Bryn Evans sent a long ball down the pitch which Tim Hill latched on to for his 2nd goal. It stayed that way untilt he 38th minute when Tim Hill picked up a loose ball and scored for his hatrick. We conceeded again but held on for a victory, even though the ref played 39 minutes! The boys played some good passing football in patches on a difficult cow field. Great performances from George Boulton who went towards the ball all the game and Harvey Walker who battled well down the wing. But for overall decision making and contribution the MOM went to Tim Hill, well done to all.